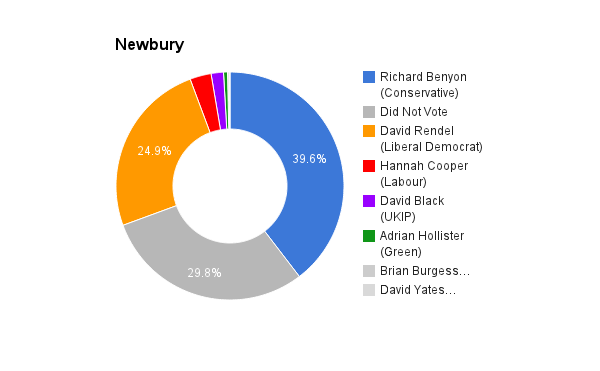 Newbury is located in Berkshire in the south of England. The seat was created in its current form in 1885. The current member of parliament is the Conservative Party’s Richard Benyon who has served since 2005. Peter Norman has many years experience in the business world having worked first in the reinsurance sector before becoming a management consultant on business development. In 1988 he set up a corporate finance boutique and later co-founded and was commercial director for a technology company in mobile data that grew to over 120 employees and went on to float on the stock exchange. 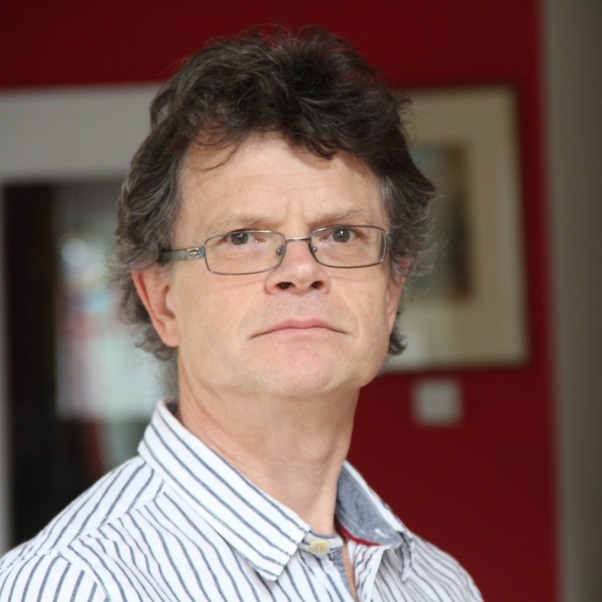 He has been a vocal campaigner in opposing the development of greenfield sites around Newbury, most notably Sandleford. He is currently a governor at St Bartholomew’s School. He is also standing for the Falkland Ward at the District Council Elections. My intention would be to regular engage with my constituents through attending community groups, holding regular surgeries and through social media, as well as reading what they have to say in local media outlets such as the Newbury Weekly News. Not being aligned to any party means I can advocate what needs doing and vote according to my conscience not because of party diktat. I would focus on climate change, discouraging the continued use of fossil fuels whilst promoting alternative technologies to meet our energy needs. I would do my best to ensure all new homes are zero carbon rated, and that new homes only go on greenfield sites when all other options have been fully exploited. I would take politics out of education and change our perceptions on Health. As an independent I have the freedom to ensure my voice is heard. Getting the electrification of the London to Bristol railway line extended to Newbury. National Debt of £1.5 trillion, a current account deficit of £90 billion a trade deficit of £94 billion, you tell me if austerity is working? The coalition government has woefully failed to rebalance the economy as promised, manufacturing has stalled, and the governments idea on kick starting the economy is to pump prime the property market which is what got us into this mess in the first place. Far from being economically sound as the government claims the seeds are being sown for further economic woes down the line. Immigration is not the problem some would have us believe. I have used the NHS in a variety of ways over the last five years and while I have seen plenty of immigrants as carers I have seen precious few as patients. The fact is that many of the current influx are over here to work and pay their taxes and then go back to their home countries to retire. The issue is for those countries that have not had the benefit of the tax revenues but still have to care for them in their old age. That said even a transient influx that fills skill shortages creates major problems in providing infrastructure (housing, schools, health) which financially we are in a poor state to afford. Then there is the question of assimilation, our laws need to be applied regardless of race, creed or culture. We need a strong economy with industry that requires skilled workers. More needs to be spent on R&D and new technologies to encourage the creation of skill based companies that will be to the benefit of all. Moreover we need the perception to change on tax. Rather than constantly looking to increase the threshold at which people pay tax we should be concentrating on getting wages to a level where they can pay tax or even better to tax everyone of the first pound they earn without anyone losing their benefits. Tackling inequality and executives mentality that they are due super remunerations whilst their employees suffer pay freezes would be a start. Health needs to be put back into the centre of NHS, and we need to provide a holistic approach to health. We need to educate people on life choices so that there are less demands on the NHS, this includes smoking, drinking, eating as well as driving better. In order to keep the NHS free at the point of delivery I would introduce measures similar to the environment where the polluter pays. As such the purveyors of poor health, the tobacco, alcohol and food industries would be forced to set up insurance funds from which the NHS can draw to pay for the consequences of what they are selling. A similar approach could be made with car accidents and sporting injuries. Moreover I would provide subsidies so that more people could join health clubs which would also have an educational role. Education – we have to get peoples’ skill sets up. I would take politics out of education where it has been a nightmare and instead hand over the keys to the professionals. There should be one body setting standards and just two exam bodies – one working with Universities to set the academic requirements and one working with industry to set vocational requirements. We also need a policy of early intervention to reach out to those families and individuals who fail to engage with the education system to ensure they are not forgotten and have the ability to make the right life choices. No – the lack of diversity is not the issue facing parliament. What is at issue is the party political system that polarises opinion and results in poor decision making due to government being housed by people of similar intellectual persuasions, regardless of gender, religion, creed or culture, supported by lackies who vote as they are told. Parties should have their finances severely curtailed and donations limited to no more than £5,000 any one donor. The House of Lords needs to be reformed to become a House of Interests populated by people with expertise in a wide variety of fields and given more powers to deliberate and scrutinise legislation. That way we may get better government with more diverse opinions coming to the fore. People who complain about the influx of Eastern Europeans should remember this: without the Poles we would not have had Enigma that won us WWII. Without Polish pilots we would not have won the Battle of Britain; Polish sailors served in both our Royal and Merchant Navies. They fought to defend our country and they were rewarded with 45 years of tyranny under the USSR. I think we owe it to them to ensure that never happens again. The EU is a bastion for preserving democracy in Europe: the subsidies we pay are miniscule compared to what we would spend on the military without it. Rather than shouting at and complaining about the EU we should work with our neighbours to ensure it is a robust and fair institution, free of corruption and waste. The Germans would buy into that. 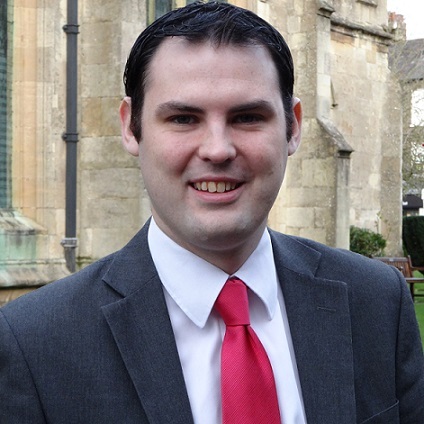 Jonny is 27 years old and wants to bring a fresh perspective to politics in Newbury. He was born in Aylesbury in Buckinghamshire, son of a teaching assistant and supermarket manager. He didn’t pass his 11+ and attended a secondary modern school where he eventually was elected to be Head Boy. Alongside his studies, from age 15, he worked on checkouts, stacking shelves and in the admin office of his local Sainsbury’s and was the branch Student Staff Association Chairman. In 2005 he took a gap year and completed the Sainsbury’s trainee manager programme which included him running a petrol station. Jonny joined the Labour Party whilst at university in Newport (South Wales) where he was a student union vice-president. After graduating he and his fiancé moved back to her mother’s home in Newbury to live while they saved up for their wedding and the deposit for their first home. They now have their own flat on shared ownership – the only thing young people can afford in the South East! Jonny now works for a company organising conferences and he’s worked his way up to now lead a team of 9 research staff. Jonny is passionate about Labour’s plans to re-shape the economy to work for ordinary people not just an elite at the top. He wants to make a genuine difference to people’s livelihoods and believes action on the cost of living is in some ways even more important in the ‘Tory heartlands’ in the South East than is anywhere else but London. Some key areas of policy interest for Jonny include education, energy, housing, animal welfare and international development. I feel very much in touch with electorate at the moment. Unlike most MPs and perhaps candidates too, I know what its like to struggle to get onto the housing ladder, I know what its like to pay tuition fees and I’ve seen friends and my wife struggling to find work after graduation without having to try and undertake unpaid internships. I won’t forget these experiences, they’ll drive me to improve life for ordinary people if I have the honour of representing them in Parliament. I’ll stay in touch by visiting every secondary school every year, by visiting workplaces to speak to staff as well as bosses, being at the primary school gate to meet parents and doing a weekly Q&A with constituents on Facebook and a face-to-face ‘surgery’ weekly too, alternating between Newbury, Thatcham, Hungerford, Streatley, Aldermaston etc. I think I’m the right person for Newbury not only because I understand the struggles people are dealing with on a day to day basis better than the others but also, perhaps because of my age, I’m focused on the long term and with every policy or piece of legislation I wouldn’t be thinking of short term gain if it was going to offer long-term pain. I will also look for the long-term impact of a policy to make sure it doesn’t negatively impact future generations. I think the current Government’s National Citizen Service and International Citizen Service programmes have been excellent and I would lobby to ensure their funding is maintained. Austerity hasn’t worked. We warned against cutting too far and too fast saying that it would suppress demand in the economy and we were proved right when George Osborne had to change his deficit reduction plan to extend it by two years, essentially adopting Alistair Darling’s timetable but we’d wasted two years of flatlining economic growth by then and seen the wrong priorities with the introduction of a bedroom tax at the same time as a 5% tax cut for people earning above £150,000 a year. We would clear the deficit but the Institute for Fiscal Studies says the idea that Tory austerity is the same as Labour’s plans is wrong. A Tory-led Government would make £30bn of cuts in two years. A Labour-led Government would make (at most) £6bn of cuts over 5 years whilst restoring the 50p tax rate, introducing a mansion tax etc. Immigrants make a positive net contribution to our economy with, on average, more tax revenue paid in than services and benefits taken out. Our immigration plans have focused on cracking down on exploitation of immigrants which is bad for them and bad for workers here who see their wages suppressed. Examples of this include recruitment agencies and employers hiring overseas only, bringing workers here to live in overcrowded accommodation and then counting this accommodation as part of their wages thus undercutting the minimum wage. We’d make this illegal. We need a Government that isn’t afraid to stand up for ordinary people against failed markets. We would cap energy prices until 2017 and force energy firms to pass on the 20% reductions they’ve seen in wholesale costs to reduce prices by Christmas. We’d introduce secure 3-year tenancies for renters where the rent can’t rise above inflation during the term of those tenancies. We’d force water companies to give discounts to poorer households. We’d cap train fares and give local authorities more power to challenge bus companies over their fares too. I think we need to repeal this Tory/Lib Dem Government’s Health and Social Care Act to restore NHS hospitals as the preferred provider of NHS services rather than having to waste money bidding against private companies for every contract and where private companies have to be used (as a temporary measure) to cut waiting times we’d cap their profits at 5%. We need to fully integrate older people’s social care into the NHS so people get care in their own home and we need to invest in mental health – particularly for children and post-natal care for women. We would introduce a jobs guarantee for all young people unemployed for a year and anyone over 25 unemployed for two years. I’d personally like to see these time limits reduced as time permits. This sounds too good to be true but here’s how it works. The Government subsidises the wages to encourage employers to take them on and where we’ve done this scheme in Wales we’ve seen 82% of people continuing in that job or finding work with another employer. To tackle youth unemployment long-term we’d restore work experience in Year 10 and fund proper careers guidance in all schools and colleges. To an extent yes. I definitely would like to see a more representative Parliament. That doesn’t just mean more women and more BME MPs. We need more working class MPs and less MPs who have been to private schools – that isn’t a class war point its just a point that we need MPs who understand the common concerns of the majority. I would passionately campaign for us to stay in the EU. I’m a proud European. An estimated 8,000 jobs in Newbury constituency alone depend on our continued access to the single market. If we adopted a Norway or Switzerland approach as the UKIP candidate advocates we’d still have to pay all the money and adopt most of the rules without having a say over where the cash is allocated and what the rules are.